Closure Type: Magnetic snap button in center. Specifications Size: 12.5" x 13" + 6"
These leather casual hand bags with zipper pocket are ideal for party, social gathering and other casual occasions. 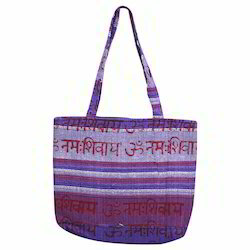 The mesmerizing designs of these bags suit well with Indian as well as western apparels. Quality being the success mantra for us, we fabricate these bags using best quality leather& assessors. We also have competence to offer these bags as per clients' demands. We are engaged in offering a wide range of Ladies Casual Handbag. These handbags are available with us in various styles, designs and range as per the precise demands of clients. Easy to wash these handbags are available with us in various standard sizes and attractive designs following the exact specifications of clients. Our ladies Casual Leather Handbags are smartly designed and crafted for contemporary ladies. 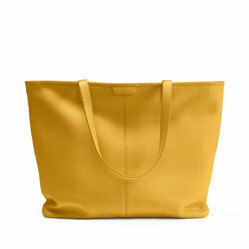 Our ladies leather bags are manufactured by different kinds of leather. These leathers give the products different finishes as pre the customers’ demands. This Red Casual Handbag comes with double straps that ensures ease while carrying it. Introduce yourself to a new style of fashion, with new designer Ladies Casual Handbag. It is enriched with brownish red colour for adding the style quotient.